Wikipedia has procured a sizable $140,000 (around £83,000, AU$151,000) in Bitcoin donations, just a week after it started accepting the currency. The non-profit online encyclopedia started taking the virtual currency for the first time as part of its annual donations drive, which also allows people to contribute via PayPal, credit cards and Amazon payments. The currency is being instantly converted to the more stable US dollar, rather than being retained in the often volatile Bitcoin denomination. The figure is still dwarfed by donations from other sources but, just a week in, the mark remains significant. The drive for donations comes as parent company Wikimedia this week revealed the initial successes of its Wikimedia Zero project. Inspired by Facebook Zero, Wiki is making deals with mobile carriers in the developing world to offer free read and write access to the wealth of information stored on the site. 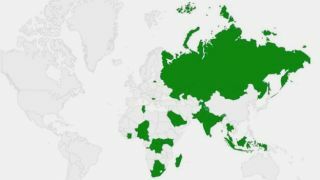 According to the latest figures, 350m people in 29 countries can now access and edit all portions of the site free of data charges.